Hey, there! 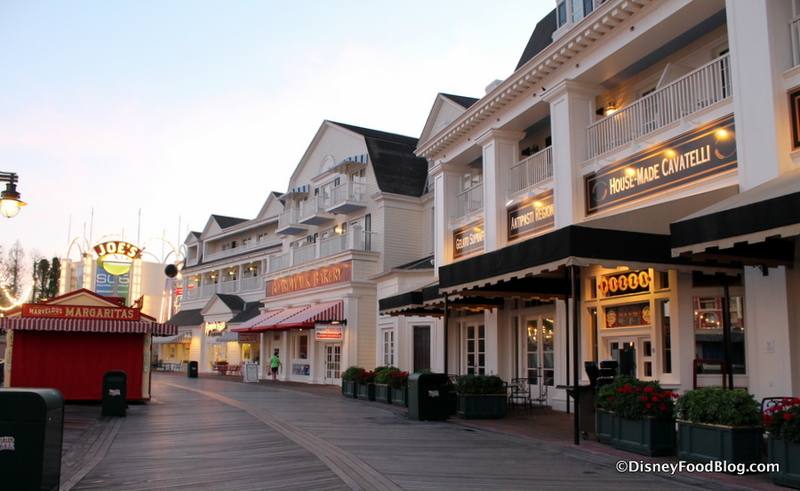 We’re back with another DFB Video today, and we’re taking you on a Food Tour… this time, our destination is Disney World’s BoardWalk! Happy Sunday and happy December! We’re so excited that it’s officially the holiday season! The 2017 Epcot Festival of the Holidays has started and we have all the booth menus and FOOD PICTURES for EVERY Booth! The Festival of Holidays at Disney California Adventure is happening too, and we have all the details, including all the booth menus and food photos! And, it’s time to pre-order the 2018 DFB Guide to Walt Disney World Dining! Use code WDW2018 at check-out to get 25% off the cover price and get the current edition for FREE immediately! Steak WITHOUT Mac and Cheese on the menu at Mama Melrose’s! Check out the 2017 Gingerbread Display at Disney’s BoardWalk! 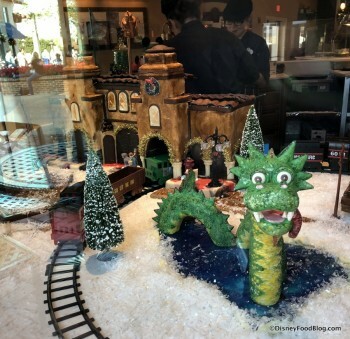 Eat THIS at the Epcot Festival of the Holidays! Check out the menus for the Holiday Kitchens at the Epcot Festival of the Holidays. The Epcot Festival of the Arts menus are here! We checked out the Donut Nuggets at D-Luxe Burger in Disney Springs. Spy Glass Grille opening at Disney’s Caribbean Beach in early 2018! Amorette’s Patisserie has a gingerbread display and seasonal wine slushies! The Holiday Elephant Tiki Mug arrived at Trader Sam’s in Disneyland this week. Check out what’s new at Animal Kingdom and the All-Star Resorts! Breakfast with Santa is coming to T-Rex Cafe in Disney Springs! Ample Hills Creamery arrived on Disney’s BoardWalk in May of this year. 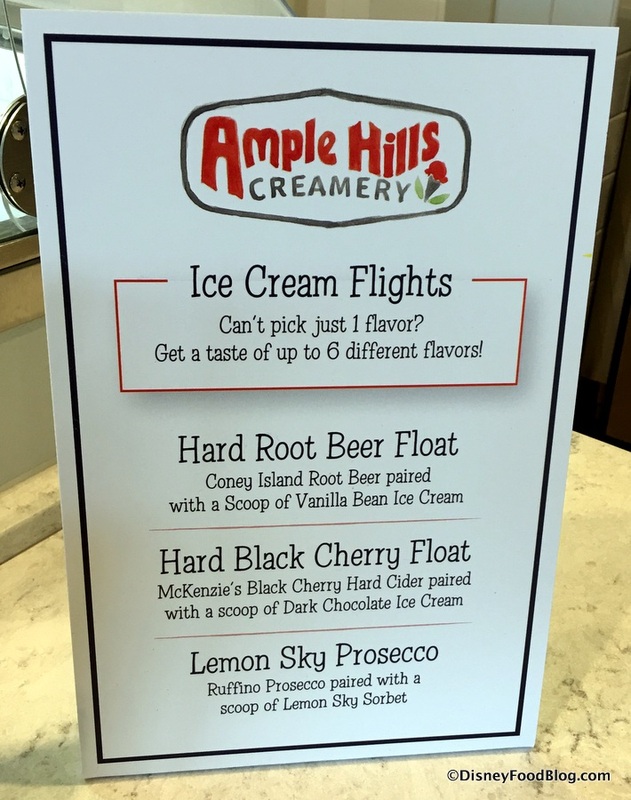 And here’s something you should know: the new Disney location for this Brooklyn-based ice cream company is pretty nice about letting you try samples of their sixteen house-made flavors. Which is almost a problem. Because choosing between Peppermint Pattie, Cotton Candy, Ooey Gooey Butter Cake, PB Wins the Cup, and the rest (including the BoardWalk’s exclusive flavor, Sally Sells Seashells) almost gets MORE difficult after you taste them. You just kind of want them ALL. And that’s where the spot’s Ice Cream Flights come in awfully handy! So we’re back to check out those Flights along with a couple of Hard Floats that hit the scene a little while back. 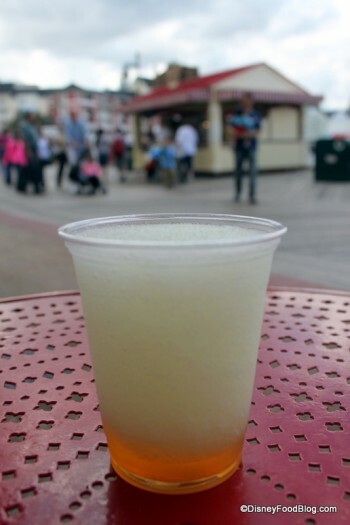 From Coffee to Margaritas: The Transformation of Disney World’s BoardWalk Joe’s! Disney is always making headlines for their big changes. Park updates like MyMagic+, Disneyland’s Cars Land, Disney World’s New Fantasyland get tons of exposure, as they should. But I think it’s always interesting to look at the not-so-publicized changes that happen without fanfare, too. 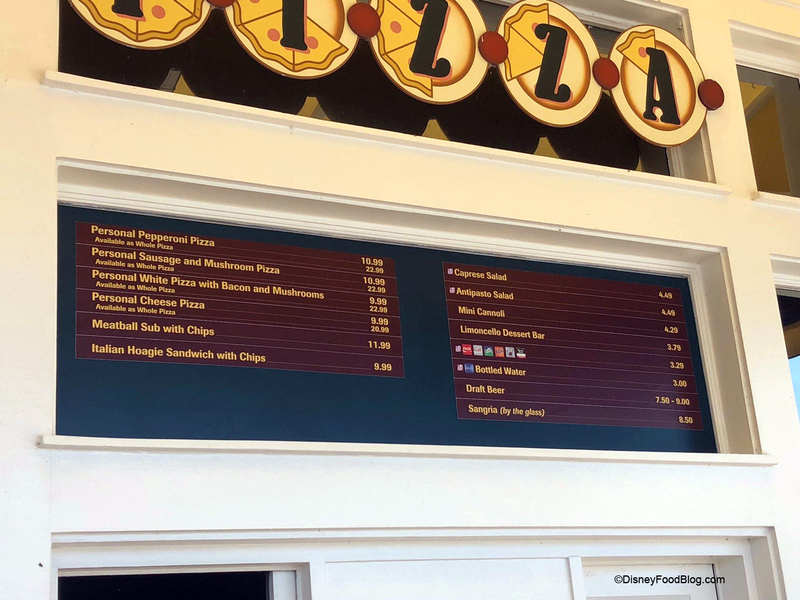 A case in point is a little kiosk called BoardWalk Joe’s, located across from Cat Cora’s Kouzzina on the Disney World BoardWalk. Over the last few years, Disney World has really changed its tune at this spot, transforming it from a coffee stop to a margarita place! Let’s take a look… . It’s easy to feel nostalgic while strolling the boardwalk where BoardWalk Joe’s once specialized in coffee — we even wrote a whole post that highlighted it! 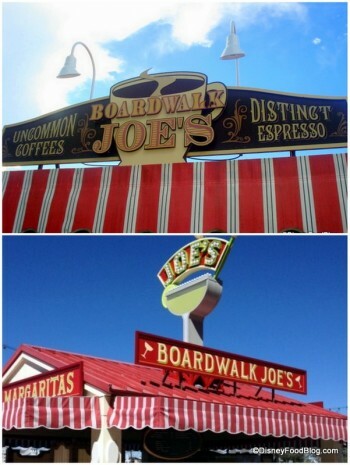 Boardwalk Joe's was all about coffee! 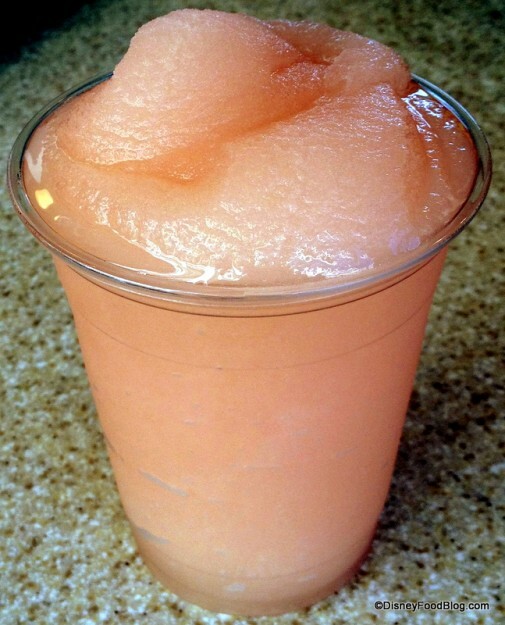 And the Frozen Grapefruit Margarita made a seasonal appearance last summer.